What Is a Core Switch and Why Do We Need It? Network switches are categorized into different types according to different principles, such as fixed switch and modular switch based if you can add expansion module to it, and managed switch, smart switch and unmanaged/dumb switch depending on whether you can configure it and the complexity of the configuration. Another way to classify the type of a network switch is by the role it plays in a local area network (LAN). In this case, one switch is considered to be an access switch, an aggregation/distribution switch or a core switch. In small networks we do not see core switch. So many people are having questions about what core switches are. Do you know what is core switch? Is there only one core switch in a network? What are the differences between core switch and aggregation/access switch? If we spend some time looking up dictionaries for the meaning of core switch, we will find a definition similar to “A core switch is a high-capacity switch generally positioned within the backbone or physical core of a network. 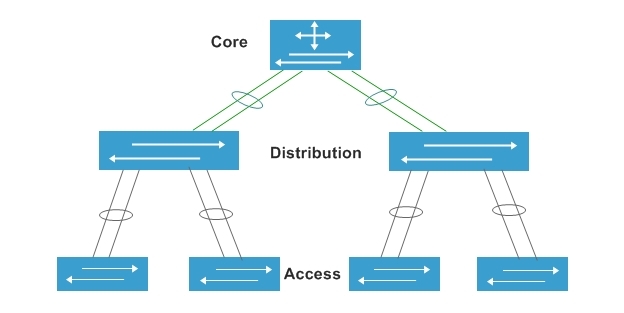 Core switches serve as the gateway to a wide area network (WAN) or the Internet—they provide the final aggregation point for the network and allow multiple aggregation modules to work together (An excerpt from Techpedia).” The definition explains its high-capacity feature, the physical location and its function of connecting multiple aggregation devices in network. What Are the Differences Between Core Switch and Other Switches? 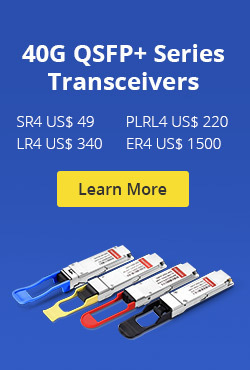 The biggest difference between core switch and other switches is that, core switch is required to always be fast, highly available and fault tolerant since it connects all the aggregation switches. Therefore, a core switch should be a fully-managed switch. But if it is a switch not used in the core layer, it can be a smart switch or an unmanaged switch. Another difference is that, the core switch is not always needed in a LAN while we may often have the aggregation switch and the access switch. Because in small networks that have only a couple of servers and a few clients, there’s no actual demand for a core switch vs aggregation switch. In the scenario where we don’t need the core layer, we often call it a collapsed core or collapsed backbone since the core layer and the aggregation layer are combined. The third difference is that there’s generally only one (or two for redundancy) core switch used in a small/midsize network, but the aggregation layer and the access layer might have multiple switches. The figure below shows where the core switch locates in a network. What Should Be Kept in Mind When Using Core Switch? The first thing we should keep in mind is that core switch is urgently required in two occasions. One occasion is when the access switches are located in different places and there is a aggregation switch in each place, then we need a core switch to optimize the network. 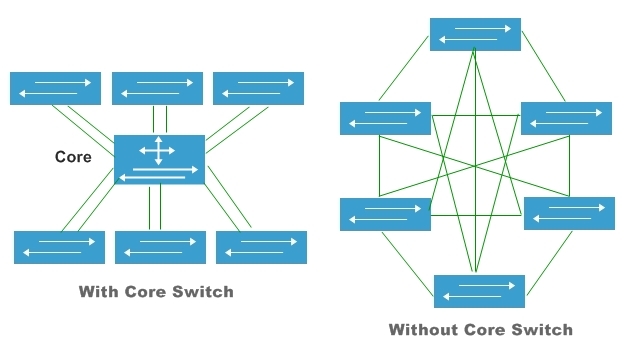 Another occasion is when the number of the access switches connecting to a single aggregation switch exceeds the performance of it, and we need to use multiple aggregation switches in a single location, then the use of core switch can reduce the complexity of the network. As for specific type and number of core switch that we should adopt in a network, that depends on the scale and budget of our network, including how many servers, clients or lower layers switches we have. 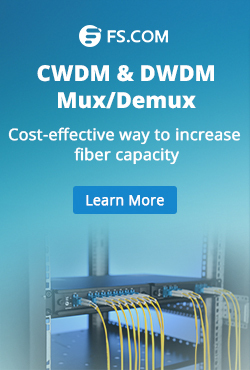 For example, say that a small network has 100 users and has 6 48-port Gigabit aggregation switches, a suitable core switch will be like Juniper EX2200, Cisco SG300, or FS.COM S5800-8TF12S 10GbE switch. The second thing is that a core switch should be fully-managed, which means it should support different method of management, such as web-based management, command line interface and SNMP management. Also it should have some advanced features like support for IPv6, built-in Quality of Service (QoS) controls, Access Control Lists (ACLs) for network security. And generally the connections to the core layer should be the highest possible bandwidth. In addition, since the core switch act as the center of a LAN, it should be able to reach any devices in the network, not directly but within the routing table. A core switch is usually connected to the WAN router. In the design of a network, there might be access layer, aggregation layer and core layer. Though the core layer is not required in smaller networks, it is indispensable in medium/large networks. And the high-capacity core switch plays an important role in delivering frames/packets as fast as possible in the center of the network. Its contribution can not be underestimated especially in networks where speed, scalability and reliability are key to users. Related Article: 48-Port 10GE Switch Selection: What Is the Right Choice? This entry was posted in Fiber Optic Switch and tagged 10GbE switch, core switch, core switch vs aggregation switch, managed switch, Network switches on December 20, 2017 by Serenity Huang.